Don't let the insults bug you. People make fun of what they don't understand. And the technology you have mastered confuses quite a few of us! 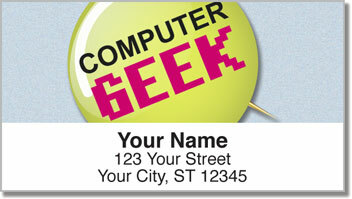 This funny set of return address labels lets you proclaim your genius unabashedly on every letter or package you put in the mailbox. They feature four different pins with humorous phrases - even though you may be the only one who gets the joke. But anyone can enjoy this simple solution to a time-consuming, repetitive task. 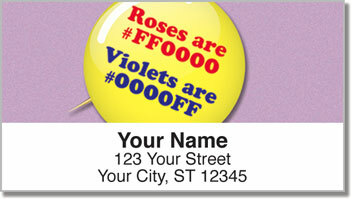 A self-adhesive backing makes it easy to stick these handy labels on every envelope. 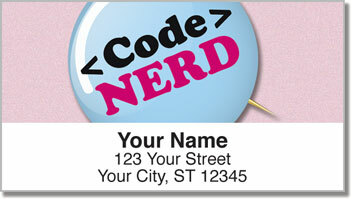 Get your own Nerd Pride Address Labels today! 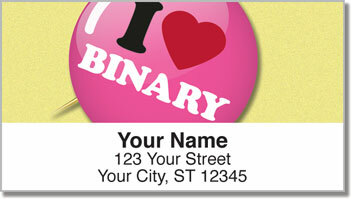 Complete the order with matching personal checks.